I always get excited when Art Gallery releases a new line by Bonnie Christine, but...have you seen the new Gathered Look Book? 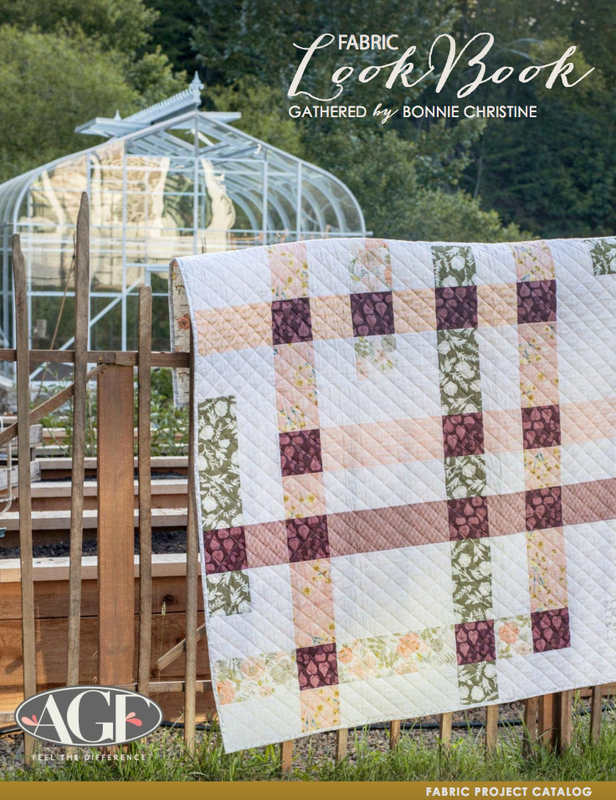 Click here to take a walk into Bonnie's garden and to see other's presentations of projects with her fabrics. (Ollie makes an appearance!) Do you like that quilt on the cover? 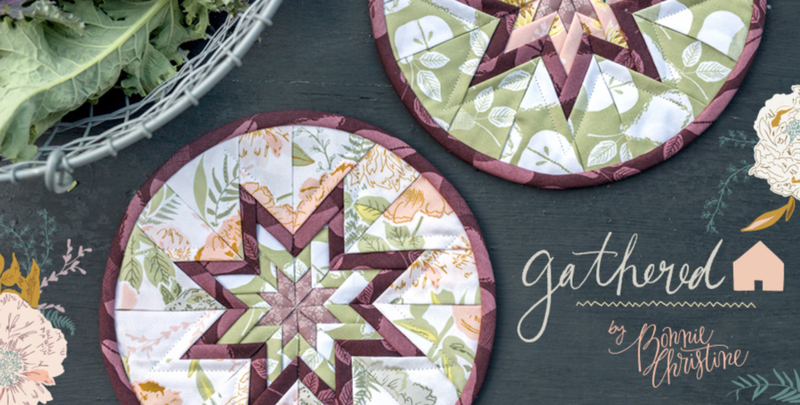 It's very easy piecing and you can grab the free pattern, Harvest, here! 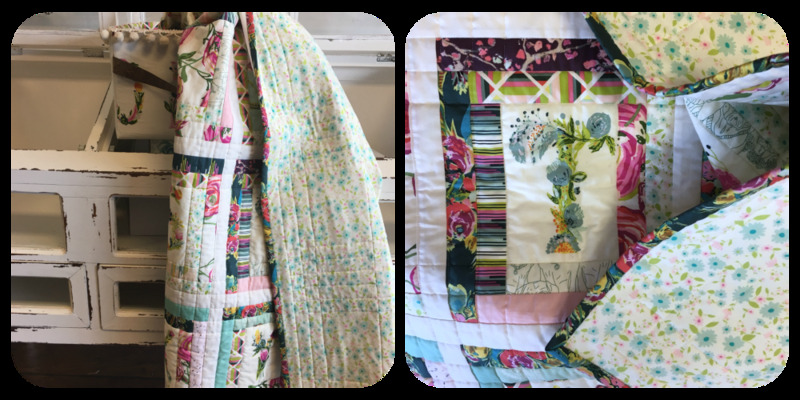 Quilted by the amazing Andrea Walker. Also, be sure not to miss the beautiful quilt by Sarah Overton on pages 28-29. 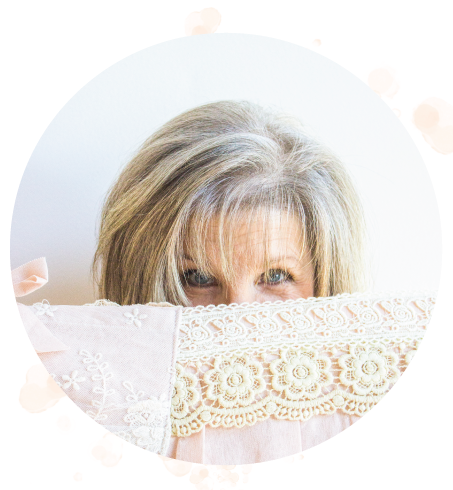 You can find her pattern, Elinor, on her webpage, or directly linked in the lookbook. And...if you like the looks of this line, you'll love August's Maxie Mail Subscription Sewing Box! 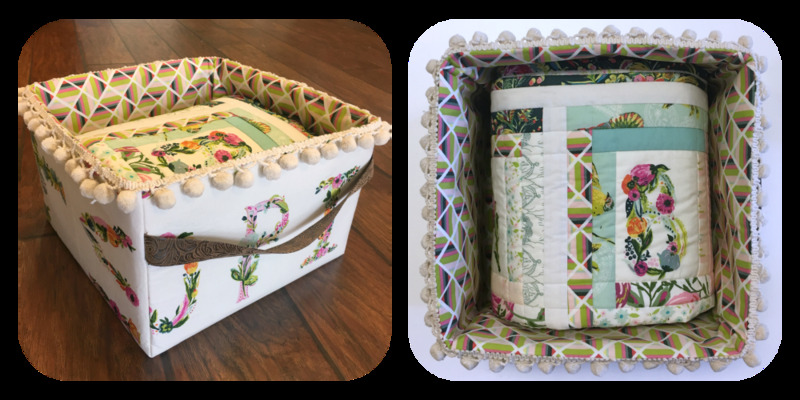 I loved working with these fabrics for this month's project...and...if you love Sarah Overton's work you'll doubly love this month's Maxie Mail! This line is as delicate as Bonnie is. 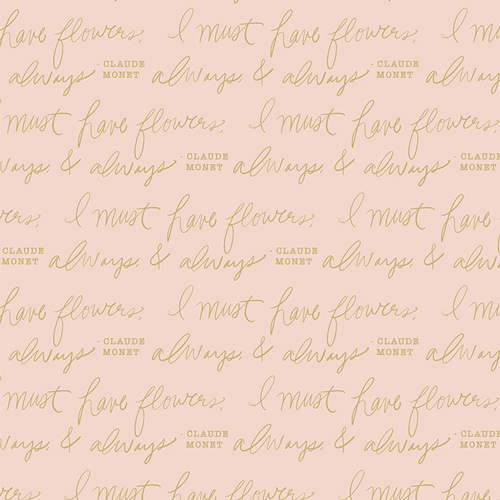 As her mother I can see her personality in every design, but I especially love the print (below, left) and metallic (right) that quotes Claude Monet's "I must have flowers, always and always" because it's written in her own handwriting. It is pretty sweet, right? I made these Folded Star Hotpads by Plum Easy Designs for Bonnie's kitchen (pattern here). I must say that sewing with Bonnie's fabrics always make me happy. I told Bonnie a long time ago that when her dreams come true, mine will too. I celebrate that every day. Watching both my daughters' dreams and aspirations come true are the biggest blessings. So true for every parent. The journey isn't always easy and, as a mom, watching the hard work along their journey isn't easy, either. But, it makes me ever thankful when the pursuit yields the objective.